Happy New Year! Another brand new year, we have 365 brand new days. We can live another wonderful year and treasure the amazing purpose of life. 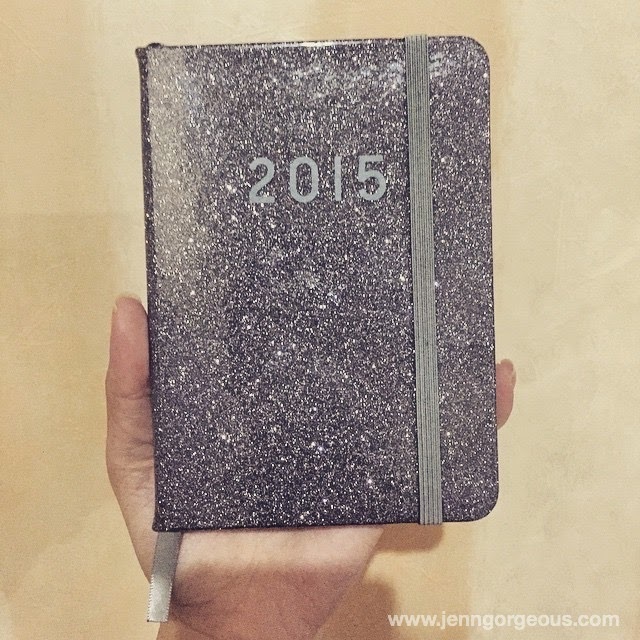 I have set myself a long list of goals for 2015, and it can be a stressful to think of it now, can I achieve them ? I know some of you might feel the same as I do, but I think we can all start from a very simple steps, and these simple steps will bring us somewhere we dream of or even somewhere that we never thought. In order to reach my goals, here are my simple things that I promise myself to do it everyday for 2015: 1. Write down at least one Positive thing everyday. Get a new diary/ notebook, you can buy fancy pretty diary/ notebook from the bookstore . You can recycle your old book and decorate them, as long as you have pages to write on it. Or you download a notebook in your phone and let it be your personal diary. The goal- write down one positive thing that happen in your day. ( you can write more) Just be simple. Example : I'm thankful that I have clean water to drink today. 2. Drink water at least 1500ml a day. You can get a new water bottle, and set alarm to remind yourself. 3. 10 minute meditation everyday. Take only 10 minutes per day" close your eyes, and think nothing, just listen to your breath, Breath in and out". Empty your mind and you will have more clearer mind. You will be more focus and it really help with all the stress. 4. Sleep before 11pm This will be the most challenging one for me. But I will force myself to fulfil this at least 3 days a week. And must sleep at least 6 hours a day. 5. Exercise 3 times a week Don't have gym membership, you can do it at home. You have to do it at least 1 hour for 3 times a week. You can choose jogging, or follow workout from youtube. Good Luck!